The Archbishop of Canterbury saw the sights and sounds of Peterborough during a three day visit to the diocese. The Most Rev Justin Welby arrived in the city on Monday, visiting Queensgate Shopping Centre, The Garden House Project and the Faizen e Madina Mosque, as well as having dinner with other faith leaders. 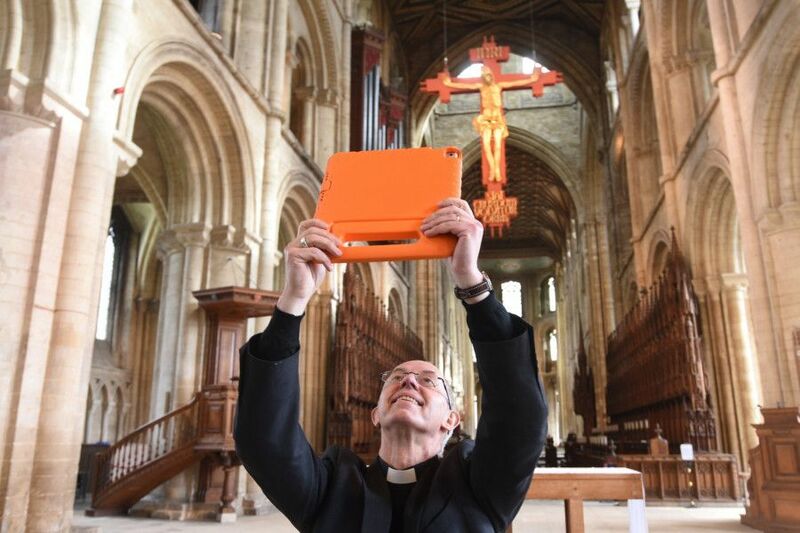 He spent Tuesday in Northampton before returning to Peterborough for a business breakfast, and to launch a new app at Peterborough Cathedral. He finished his visit by taking the Wednesday at One service at the Cathedral.